While a special antenna is not required for Small Cell deployment in general, they do require the right kind of antennas to make sure the original purpose of deployment is achieved. These antennas feature dual polarization and can be shared among the 1.5 GHz and 1.7 GHz frequency bands. A separately developed compact duplexer is installed between the SRE and antenna to separate and combine signals of these frequency bands. 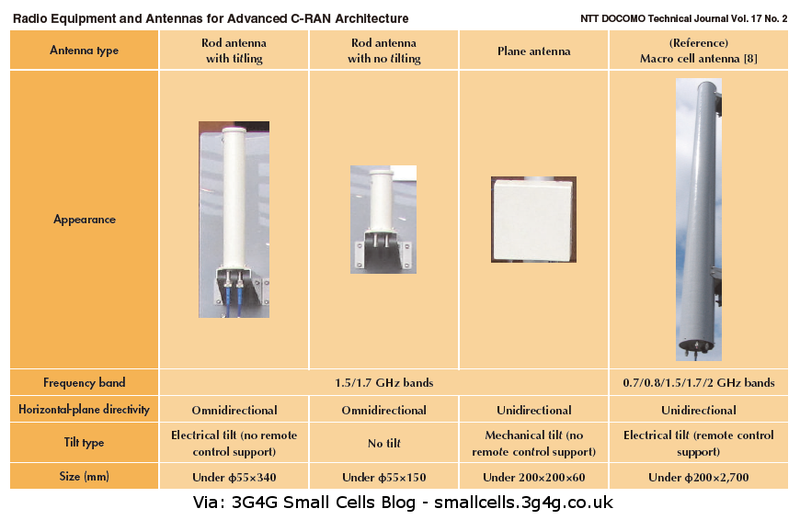 The compact configuration of these antennas simplifies their installation. When planning a service area by placing small cells next to each other, deterioration in signal quality due to interference between small cells is an issue of concern. To resolve this issue, downward tilting in the vertical plane is effective to reduce the interference caused by that antenna’s signals on adjacent cells while also to raise the receive level within the antenna’s own cell. The end result is improved throughput. The following summarizes the features of three types of antennas developed by NTT DOCOMO taking interference reduction and diverse installation environments into account. 1) Rod Antenna (Two Types): Having an omnidirectional radiation pattern in the horizontal plane, this type of antenna is installed on the wall or ceiling of a building to form a service area in its periphery. Two types of rod antennas have been developed: one with tilting for an interference-reduction effect and the other with no tilting for a compact configuration. The rod antenna with tilting consists of multiple vertically aligned antenna elements, the amplitude and phase of each of which is adjusted to produce an electrical tilt. The tilt angle, however, is predetermined. 2) Plane Antenna: This type of antenna has high gain while having a unidirectional radiation pattern making it applicable to installation on high places like building roofs to form a service area in a spot-like manner. A plane antenna can be given a mechanical tilt with a metal fixture to reduce interference. Interested readers can download the article from here. 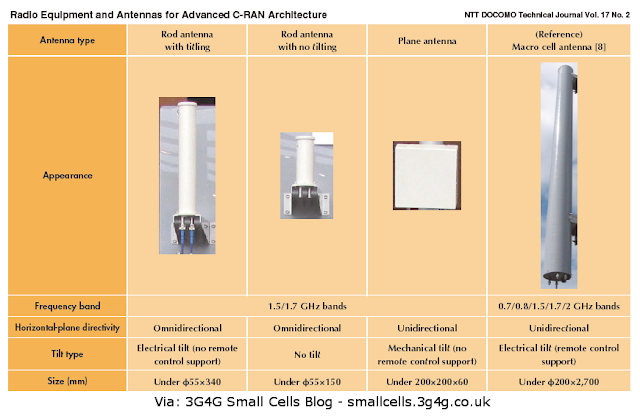 I also posted an article on the 3G4G blog titled 'Antenna evolution: From 4G to 5G'. 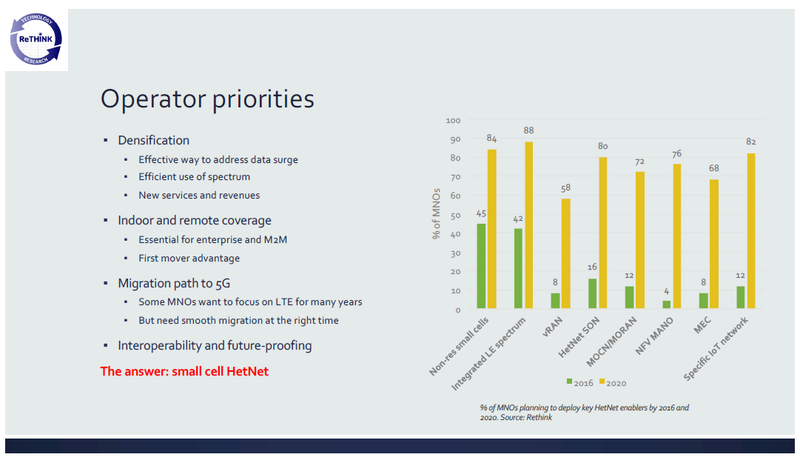 The presentation by Kathrein provides more details on Small Cells and mmWave antennas. Why mmWave? Because most of the industry thinks that mmWave 5G will be small cells. As always, comments, insights and suggestions welcome. Small Cell Forum recently held a workshop on the role of small cells' in 5G. Each speaker had 10 minutes to present their view/vision. The presentations are available here and combined PDF embedded below. 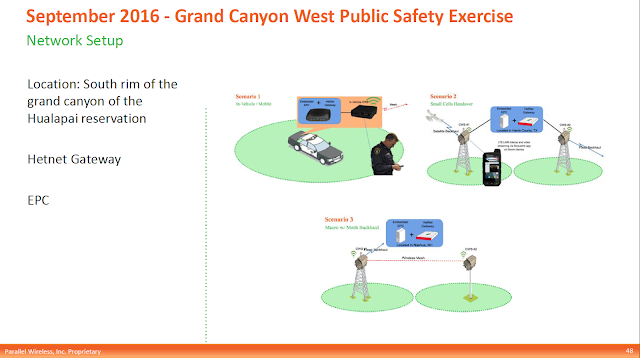 One of the many use cases for Small cells is for public safety communications. In case of emergency situations (earthquake, floods, terrorism, etc.) when the macro network is damaged or as it generally happens, the power supply is disrupted, small cells can quickly come in action and provide a coverage solution. This was discussed in an earlier post here. Another scenario is when dedicated public safety coverage needs to be provided for hard to reach places or in a stadium kind if scenario, small cells be fill the void. 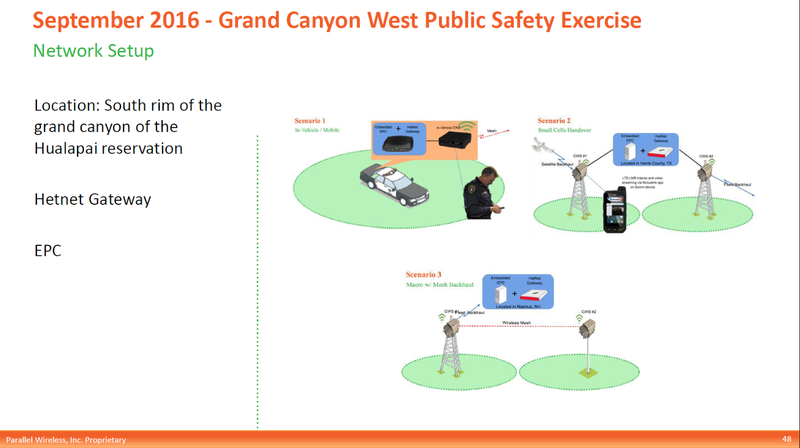 While in USA there is a dedicated band (Band 14 – 700MHz) available for use with public safety communications, most other countries do not rely on dedicated spectrum. In case there is no dedicated spectrum, there are still many different approaches to make sure that the personnel from emergency services can continue communication (as long as there is coverage available). Before we proceed further, in case the reader is not aware of Self-Organizing Networks (SON), please refer to my old tutorial here. 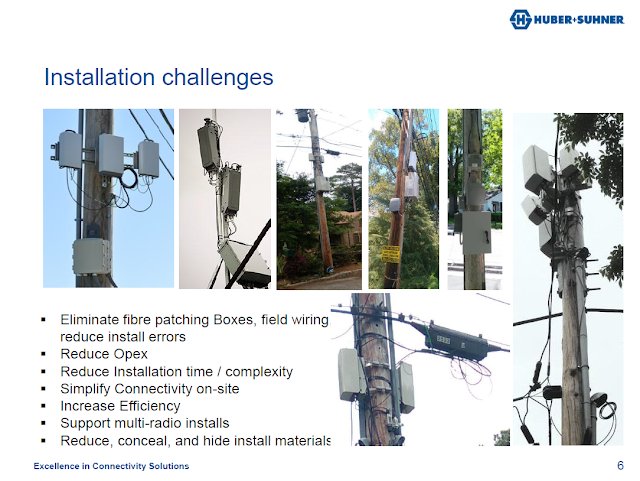 The white paper focuses on the important issue of interference management between small cells. The paper is the result of a joint effort by British Telecom's Research and Innovation group and the technical teams of Qucell and Node-H. It addresses some of the major challenges of LTE HetNets and expands on the work of the 2016 ETSI Plugfest, which was run under the auspices of the Small Cell Forum. The authors’ conclusion is that interoperability between different vendors' SON implementations is achievable and so operators can look forward to robust, seamless and tailored solutions from multiple vendors. 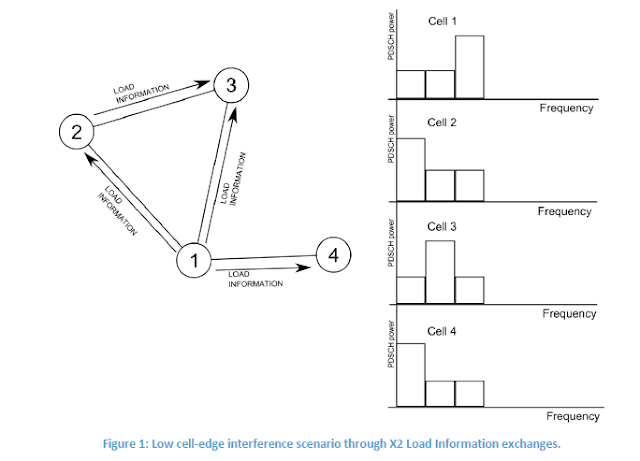 The white paper shows that it is possible to operate mobile networks in which the individual LTE cells execute different ICIC algorithms. These findings challenge preconceptions about SON that are common in the mobile industry and make the case towards larger multi-vendor deployments of LTE small cells and call for bolder efforts in multi-vendor SON testing. The ICIC algorithms used during these tests have been developed independently and without exchange of technical details between two separate HeNB vendors. Despite this, it has been shown that both algorithms can gracefully co-exist in the same LTE network. ICIC standardization efforts within 3GPP, along with the Small Cell Forum's Plugfest activities, have been key to this success. Today I decided to focus on an area which I don't normally look at much detail. While going out and about in the field, I can always notice the different types of deployments. Some are nice and clean while others are really messy like the ones in picture above. While all of the situations cant be fixed easily, some of them require clever connectors that can simplify the connections. This presentation from Huber+Suhner embedded below provides some good solutions and examples.